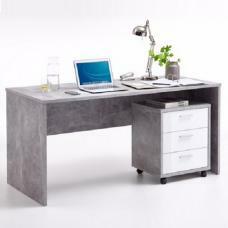 Petra Wooden Corner Computer Desk In Icy White And Concrete, designed for use with laptops, tablet PC's and computers. 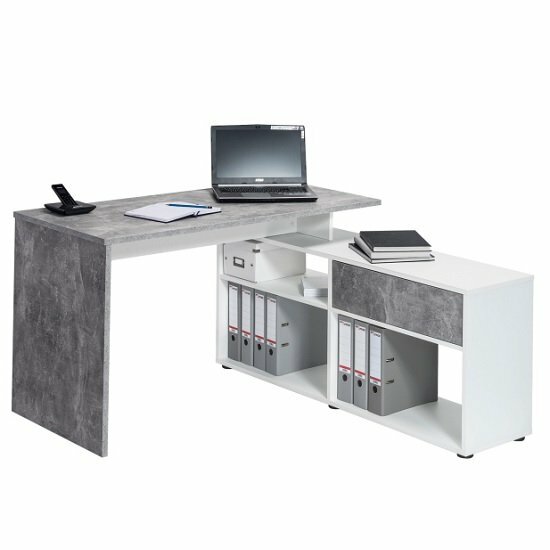 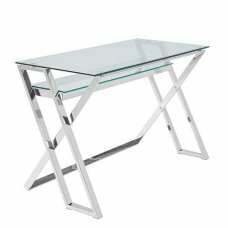 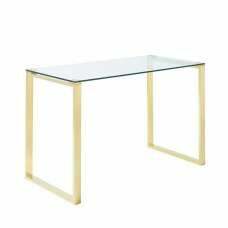 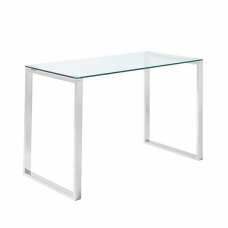 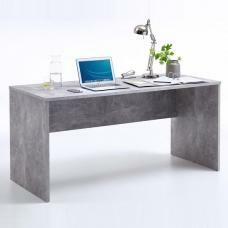 Office Desk in Icy White And Concrete uses scratch resistant MFC sourced from FSC sustainable forests and the desktop is styled using ABS edging to protect the finish of the desk. 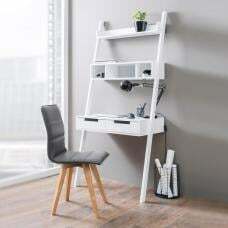 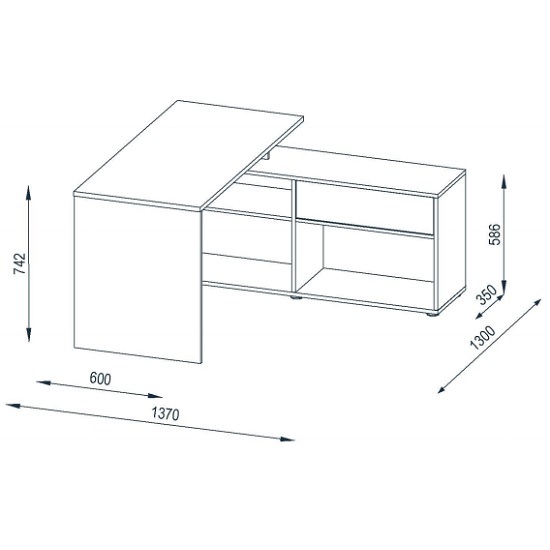 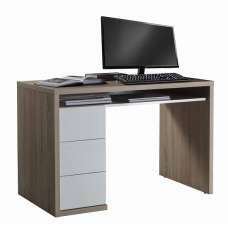 This desk features wide rectangular desktop and storage from the integrated desk which can be mounted on either side as per your requirement. 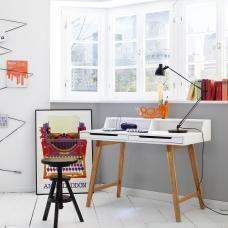 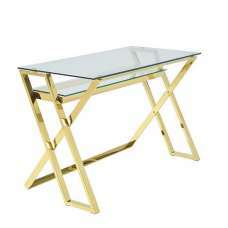 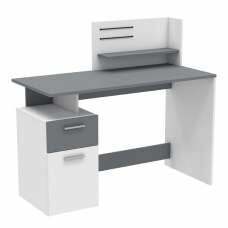 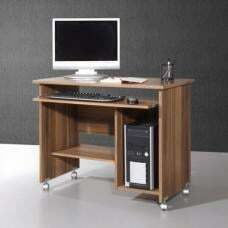 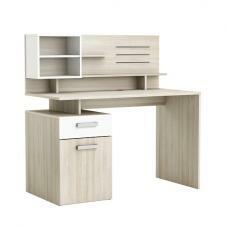 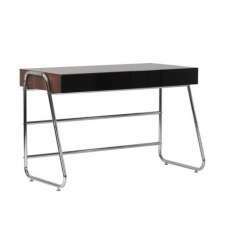 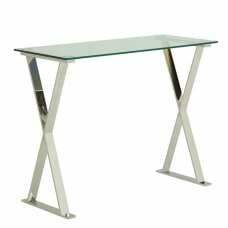 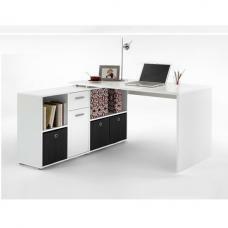 The desk features several large open sections for storage and a push-to-open drawer for concealed storage.
" 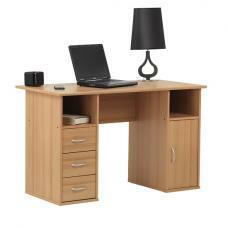 Special Order - Lead Time For Delivery Is 2-3 Weeks"